Increase the amount of classroom time available for learning. A rare opportunity to learn how our schools can better support our students; free and open to the public. Keynote Speaker - Joe Ristuccia, Ed.M. For more information, please contact either Lucie Chansky at luciec@comcast.net (617-244-7310) or Greg Smith at gregsmithpm@gmail.com (617-584-9993). 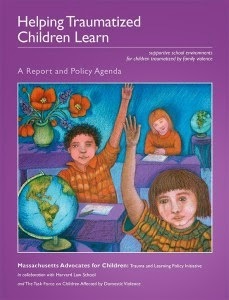 The books from the Trauma and Learning Policy Initiative (TLPI) will be available for sale.